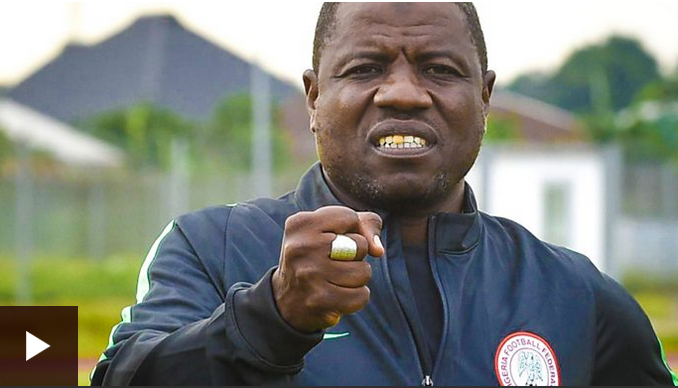 Coach Salisu Yusuf caught on tape receiving bribe – Royal Times of Nigeria. The BBC has published a video showing Nigeria’s top football coach, Salisu Yusuf, caught on camera taking cash from men posing as football agents to two Nigerian players.The footage was captured by controversial Ghanaian journalist Anas Aremeyaw Anas in September 2017 and is being broadcast for the first time by BBC Africa Eye. Yusuf was the first assistant to Super Eagles coach Gernot Rohr during the Russian World Cup. And he is due to lead the national team to the Tokyo Olympics in 2020. According to the video, Yusuf accepted $1,000 from the men posing as football agents to field some unidentified two players. In his response, Yusuf denied any wrongdoing. Meanwhile ,Yusuf said he did not demand any money and that what he was given was $750 and not $1000 claiming it was a gift. Yusuf also said his selection of players for the African Nations Championship(CHAN) 2018 was based on merit.